Leonidas invited me to do a guest post on his blog as I've been going pretty hard with PPCall for the last year, been making good money, and have some interesting things to share. I'll be doing a webinar on Bing Ads for PPCall with RingPartner on April 2nd, so you'll definitely want to check that out as well – its free and I'll be giving away some secrets I've used to pull in over 20k revenue from BING ADS exclusively in just the last two months. The first principle I want to talk about is the consciousness competence matrix that nearly every affiliate will grow through. Being around the PPC block I know how easy it is to make campaign level errors – you'll get to a point where you check and double check everything you do out of habit. He shared his desktop screen and let me take a look into his Google Ads campaigns. That's us in PPCall and that's what you need to do. Fail as fast as you can by taking massive action and advance to a level of mastery quickly. You need to reach the level of unconscious competence where you're setting up campaigns lightning fast, making few to zero errors, and almost always driving traffic at a low cost. It's an accumulation of all the mini-skills you've internalized and built along the way. And that's what you'll observe. Most PPCall affiliates keep their secrets close to chest and because of that you'll find many of your most insightful discovers were not hypothesized and acted out – but retrospectively stumbled upon by accident. So cherish those discoveries and keep a close eye out as you work on your campaigns. A beginner who sees early success by finding some profitable KW's will be unlikely to repeat that success soon after. The beginner moves slowly and inefficiently – testing only a few KW's against a few offers. You don't ever reach the intermediate level until you take a step back and look at your process for actually finding KW's systematically. This is when you start to develop a process for finding KW's and you find yourself testing more KW's against more offers, striking success with some consistency. The top affiliates systematically test hundreds of thousands of keywords against a revolving slew of new offers. They are the super affiliates and if you want to crush it, this is what you need to be doing. At this stage you're skill level is high and you rely on external tools to help you manage massive list of KW's and increase the productivity of your process. You use excel to organize lists and templates and tools to speed up your efforts. I want to make one last comment. PPCall is fascinating as you literally witness the compounding effects of your skill. That's why you need to give it time – and effort. Almost every successful affiliates lifetime earnings graph follows the same exponential growth pattern. Just stick to it until you can smash through the exponential tipping point. So yeah that's it! I hope you enjoyed and you should definitely checkout the free A-Z tutorial I have on youtube for PPCall and look into the Ultimate PPCall Affiliate Toolkit that's for sale as well. It's got some badass tools in it that will supercharge your efforts. So now that you've met Clay from Startuptakeoff, you know what he is about: Mastery. I spent a month living at his villa, grinding away at per per call, and Clay definitely knows his stuff. In fact, I learned about how to get rid of desktop/tablet clicks from him. If anything, Clay has mastered Bing Ads and Pay Per Call, more than any other affiliate. This video is geared towards beginners, all the way to advanced affiliates in the pay per call space. I also recommend you check out his tools for increasing efficiency with pay per call and adwords. I've tested out the tools, and they are quite good. In fact, the Geo-Tool is exceptional for creating geo-targeted adcopy in seconds. Finally, thanks Clay for writing up an awesome guide on mastery principles. Hey! Where can i register for the upcoming webinar? 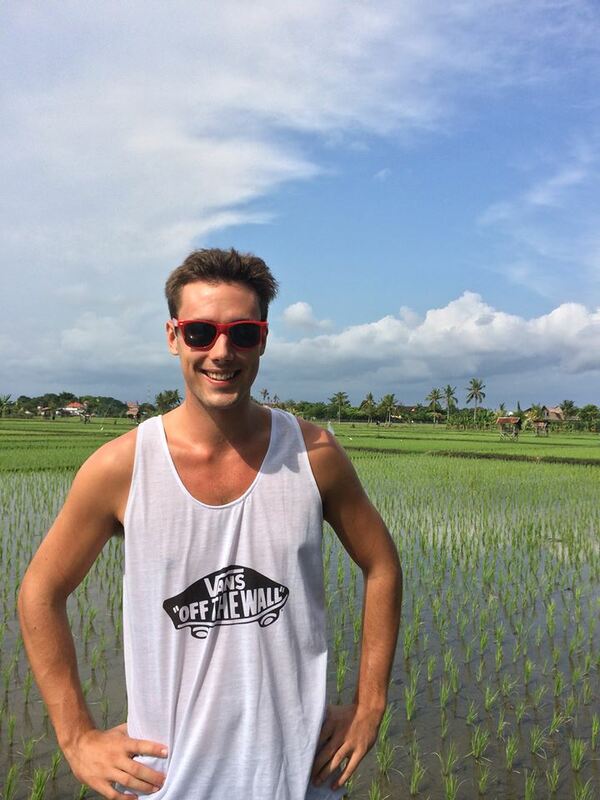 Clayton is currently silent meditating in Bali, indonesia. I believe the webinar will be mid-april when he gets back. I haven’t gone off meditating yet, just sorting some visa issues first. The Webinar is on APRIL 23rd and will be held live on the RingPartner network. Good stuff Ferguson, thanks for the post. Leonidas, I’m interested in the premium posts but it seems that all the PPCall training is always geared towards adwords/bing/PPC. Do you guys also have experience with CPV, banner ads (desktop and/or mobile) etc. in combination with PPCall?